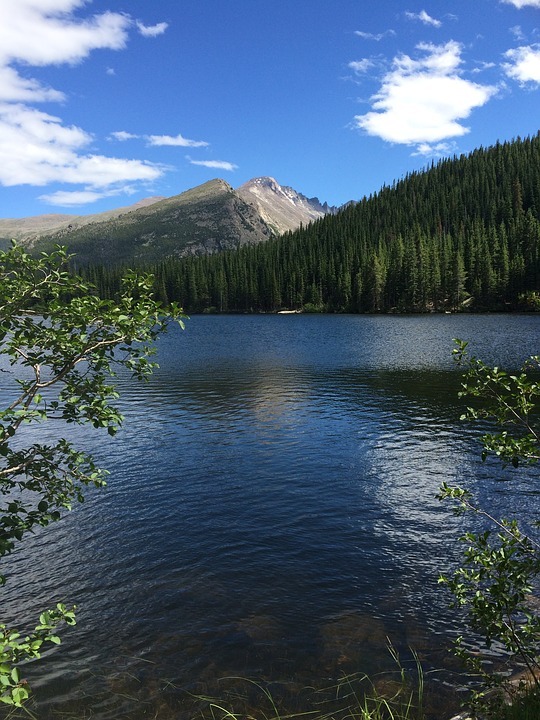 Last year, Rocky Mountain National Park set a new visitation record of more than 4.5 million. 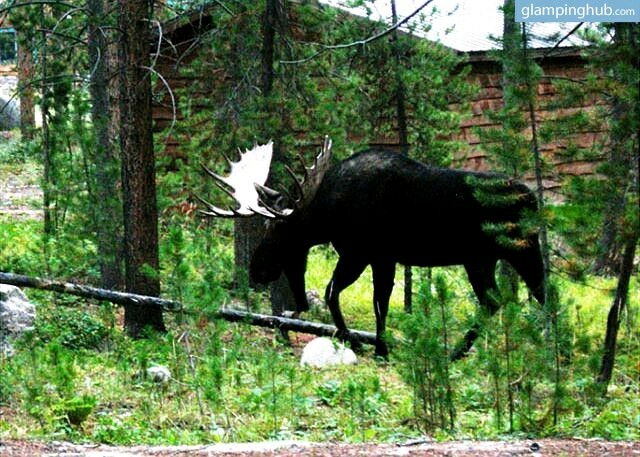 That's the equivalent of every Coloradan living along the Front Range visiting the park! To top it all off, they set a monthly record in July of 2016 with 912,507 visitors. "It's unknown whether we will see that level of visitation continue to increase in the near future," Kyle Patterson, park spokeswoman, says. "However, with the population growth along the Front Range of Colorado, particularly in Larimer and Weld counties, we expect park visitation to continue to be around 4.5 million visitors and not decrease dramatically." 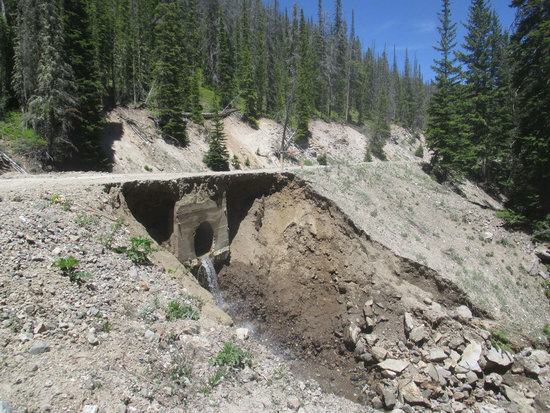 The big turnout last year was a 33% increase from two years ago - a trend that has been continuing since 2013, when U.S. 34 and the areas of the park as well were heavily damaged by the flooding. Though portions of U.S. 34 are still undergoing reconstruction, it is expected to reopen in May of this year. Population growth and lower gas prices have also helped to boost the visitation numbers. While an increase in visitation numbers is the sign of a healthy park, it isn't all rainbows and sunshine. 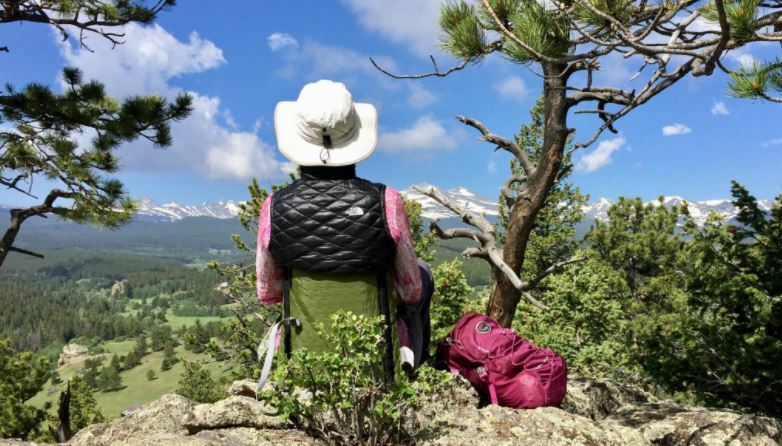 "It is wonderful that visitors are engaging and enjoying their public lands, like Rocky Mountain National Park," she said. "But the dramatic increase in visitation to Rocky presents additional challenges for park staff to preserve and protect the park now and for future generations." Larger crowds require a larger budget and staffing increases, neither of which have been remedied as of yet. This last summer the park was forced to restrict vehicle access when lots had filled, which occurred most weekends between June and September. The park will continue assessing both the long term and short term effects of increased numbers coming through. Long term efforts will involve a mindful planning process on how to deal with consistent growth in the coming years. 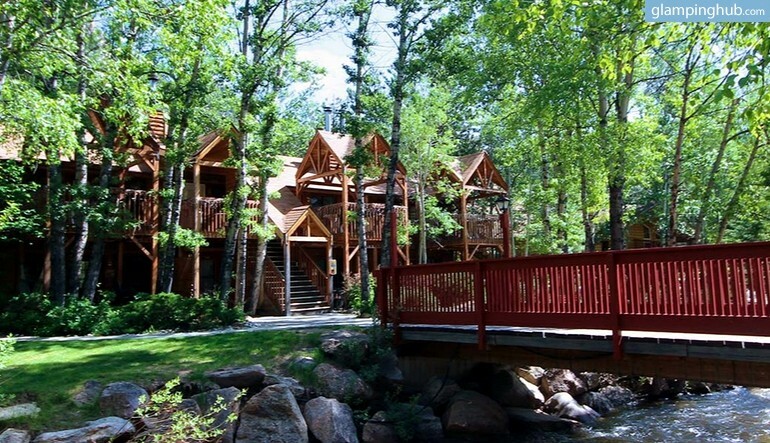 Cabins and Cottages and Glamping, Oh My! Going camping, but with glamour. A combination of the two words. It's like regular camping , but with nicer things than usual, being warmer, and more comfortable. Glamping isn't done by usual outdoor types who climb mountains. It's a relatively new concept that's taken off in rugged settings across the country. 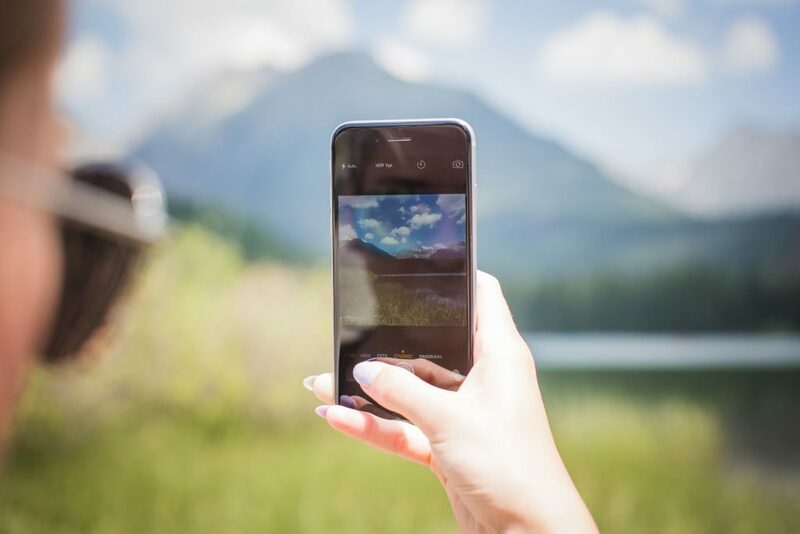 Glamping isn't only for the high maintenance; it can offer an outdoor, nature-filled experience for those who normally wouldn't consider trekking into the middle of the woods. Families with young children, older people who simply cannot sleep on the hard ground and function the next day, and those who simply want a brand new twist on the favorite American pastime of camping. If you're still a skeptic, hear us out! Have we ever been glamping? Well, no... 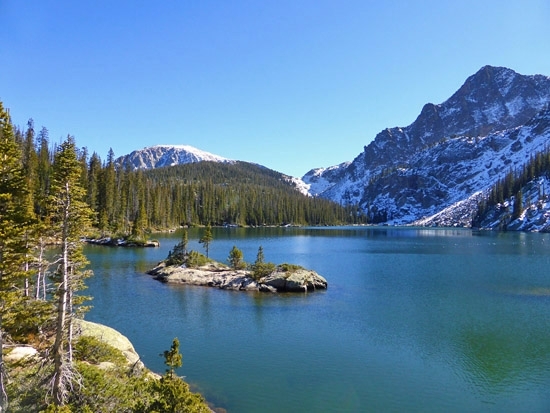 But we might consider it if we could visit one of these amazing spots on the edges of RMNP. 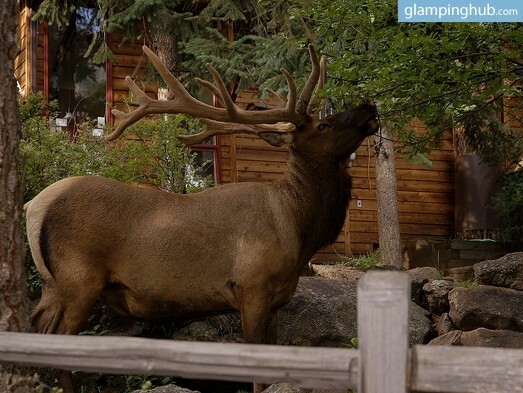 Whether you only have time to jot up to Estes Park for the weekend or want to make a trip clear out to Grand Lake on the west side of the boundary, these glam camping spots provide beautiful scenery and comfy bedding. Yes, it is a log cabin - but it's nestled in a spot that offers amazing views of the entire park! There is only one cabin with one spacious bedroom, one bathroom, and the ability to accommodate a maximum of 4 guests. 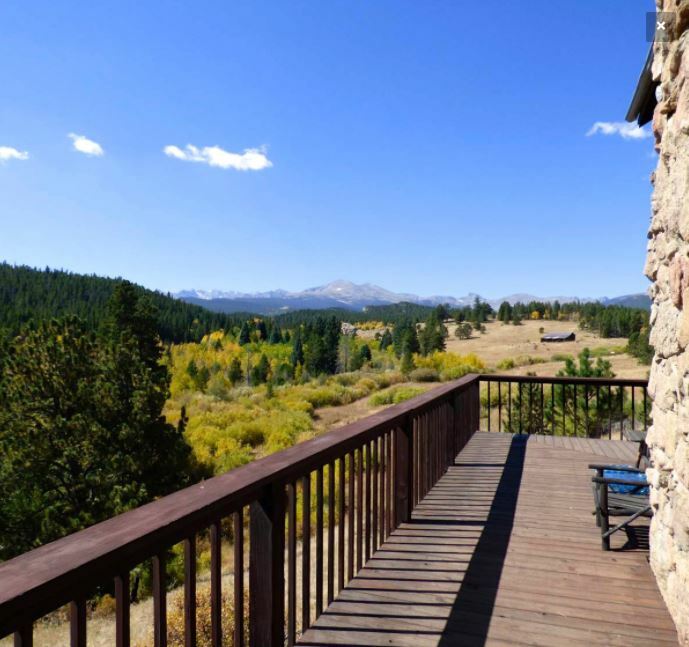 The kitchen is fully equipped so guests can cook their meals conveniently, so this location is ideal for a family looking for seclusion in the mountains without giving up proximity to local shops, restaurants and attractions. Comes with a fireplace, jetted bathtub and a sitting patio area. If river-side is your style, look no further! 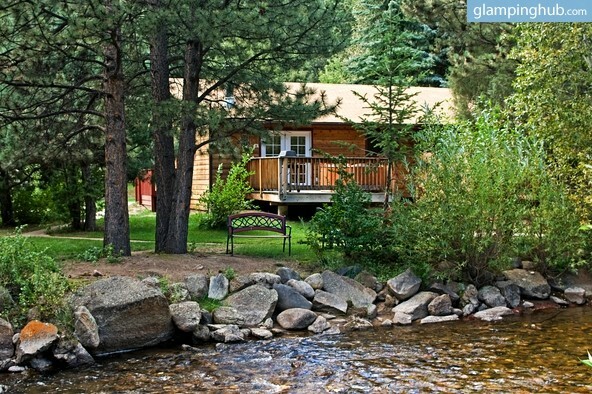 These cabins sit on 29 acres along Fall River, amidst the trees in Estes Park. Spotting elk out the window in the mornings aren't uncommon at all. 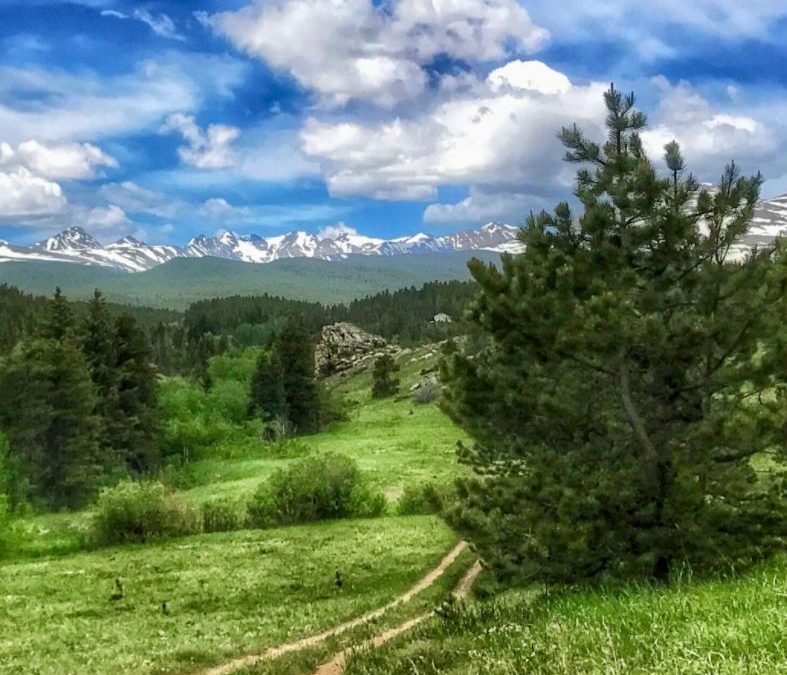 Though open all year round, summer is the most popular season with activities such as horseback riding, hiking, whitewater rafting down the Poudre River, and sampling ice cream in downtown Estes. Fall brings about color changes in the aspen trees and inspires the elk to enter rutting season. 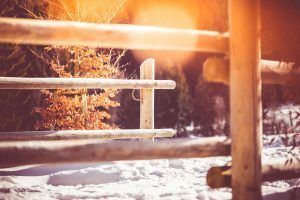 Winter offers many festivals, cross country skiing and an opportunity to curl up in front of the fireplace. Spring is often slow (and snowy) to start, but beautiful! 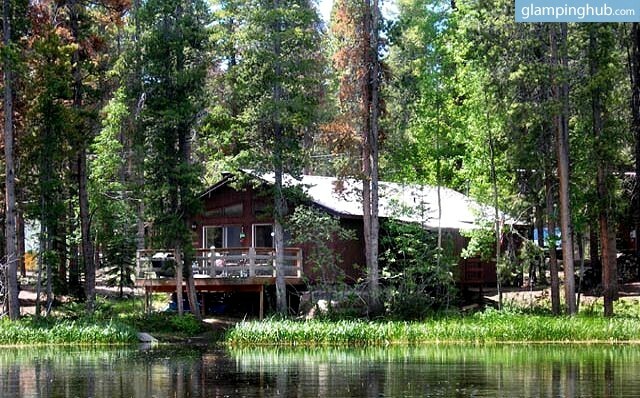 The pond that this cabin overlooks if frequently visited by moose and elk, which match the country decor to a T! Because it sleeps up to 8 people, this location would work well for a small family gathering or as a nature retreat for friends. 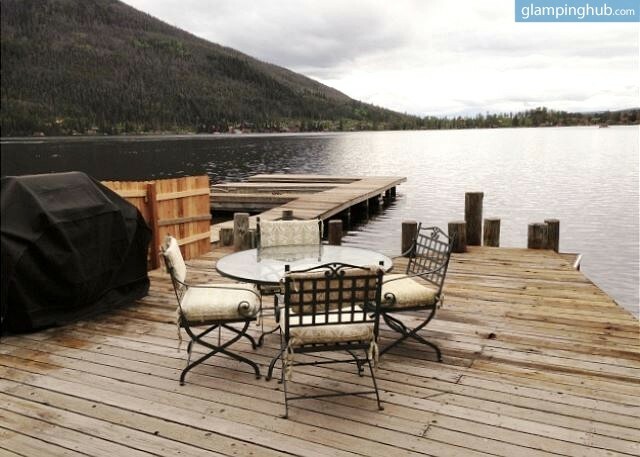 Between a fully equipped kitchen, fireplace, outdoor deck, the average glamper should have everything they need. In true glamping style, this cabin has been newly remodeled to keep visitors comfortable. Do you have a boat? Bring it! 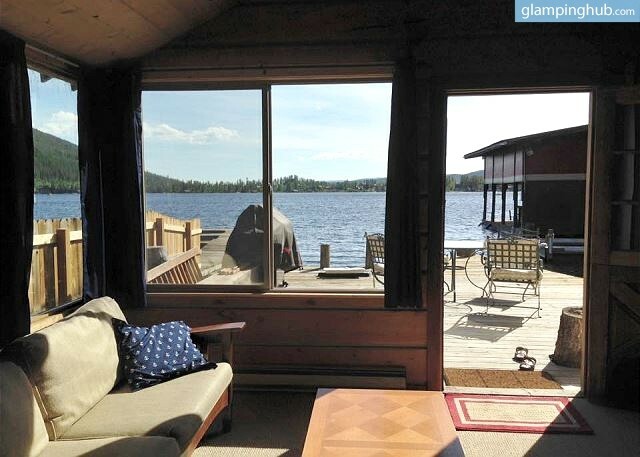 There is a boat dock and a small private beach just a short walk from the front door. Because there is plenty of space for 8 inside the home, there is also a fire pit outside if you decide to bring the party out into the night! 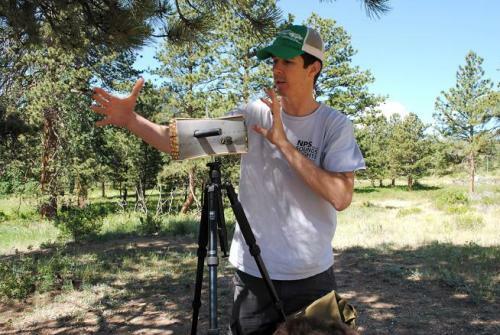 Jacob Job has dedicated his life to the study of sound, and works for CSU and the National Parks Services Natural Sound & Night Skies Division. 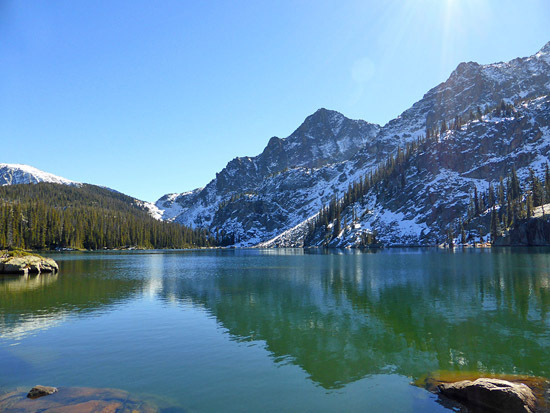 During the summer months of 2016, he's spent his time traveling through 125+ miles of the Rocky Mountain National Park wilderness, recording an array of noises in order to create a library. "If we lose some of these sounds, if we lose wildlife or lose a species, we lost a part of us," he expressed. "It's important." One is the opportunity to share the sensory experience with people who don't have access or the means to spend time in the backcountry. The second is to showcase the affects that the humans have in national parks - audibly, of course. In general, humans raise the ambient sound level 3-5 decibels, with the most impacted areas being in the east portions of the park. Job believes that making people aware is the first step to preserving the natural wonders of our wilderness, and ultimately make conservation in general more of a priority. 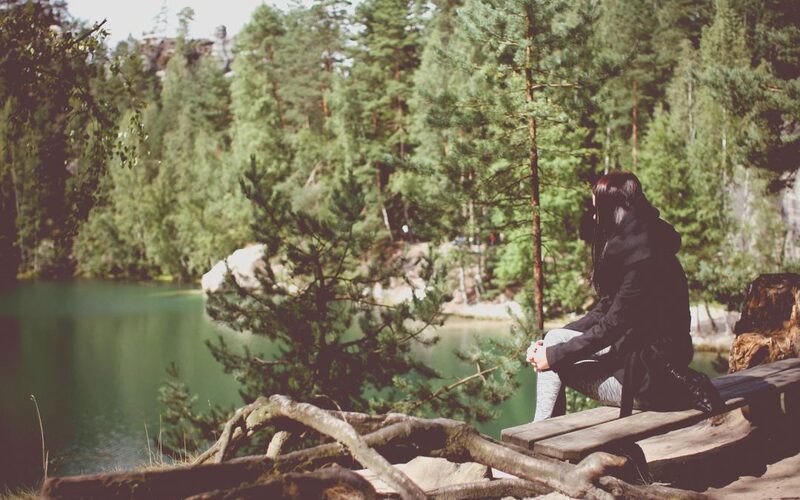 While sound of course adds a necessary dimension to day-to-day experiences, pure silence is also something that affects a person subconsciously as well as consciously. Sometimes, a lack of sound can be truly profound in itself. "The more you listen, the more you'll hear," says Job. "It's cheesy. It's corny, but it's true." 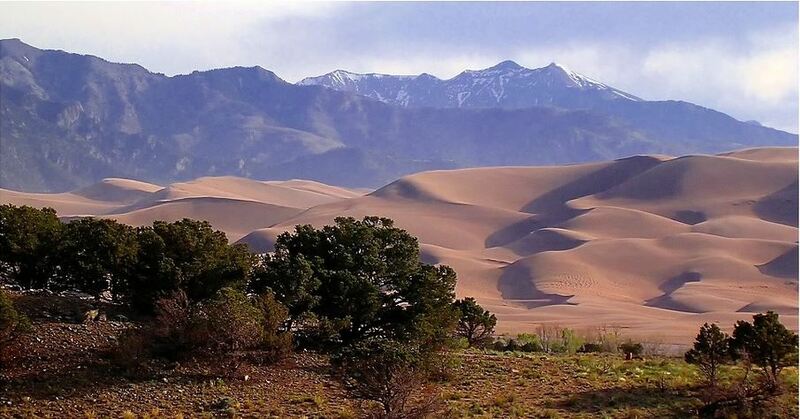 Some of the quietest places he's been in the United States include Alaska, Haleakala National Park in Hawaii and the Great Sand Dunes in southern Colorado. "It's pushing the limits of our equipment. This is a place you can hear your heart beat. You can feel the pressure of the silence." What a fantastic notion! 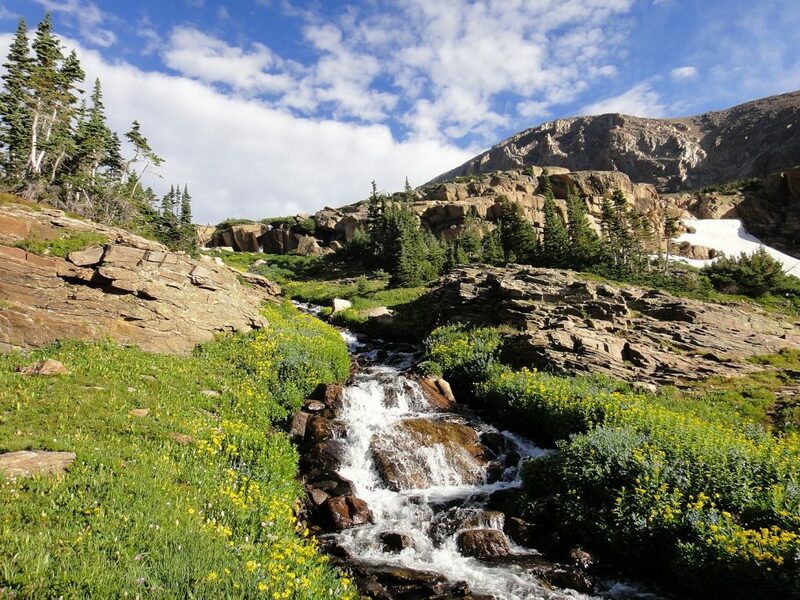 If you've ever wondered what Rocky Mountain National Park's true voice sounds like, wonder no more. Jacob Job captured this audio of an afternoon thunderstorm passing over his campsite in Big Meadows. 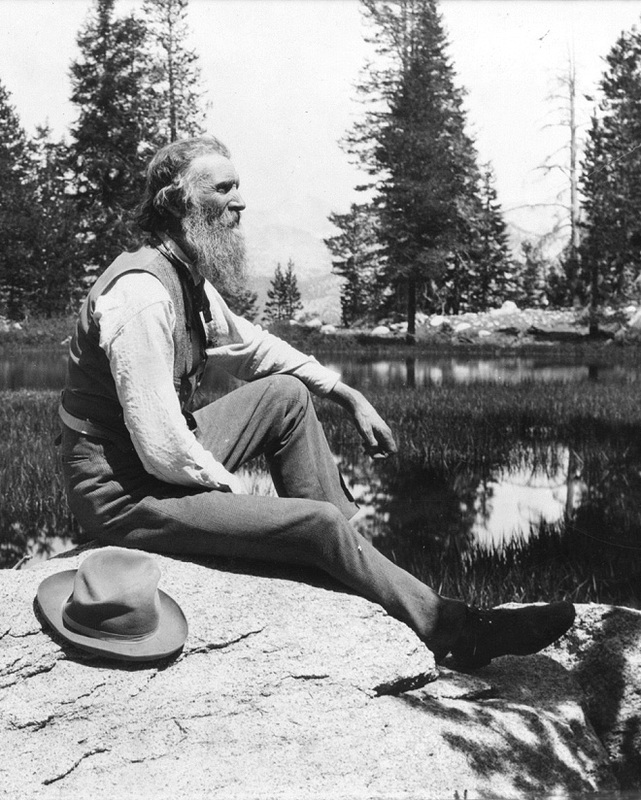 His SoundCloud station includes several other audio tracks from his time in the Rocky Mountain National Park, all of which offer a unique profile of the wilderness that is so beloved to Colorado. 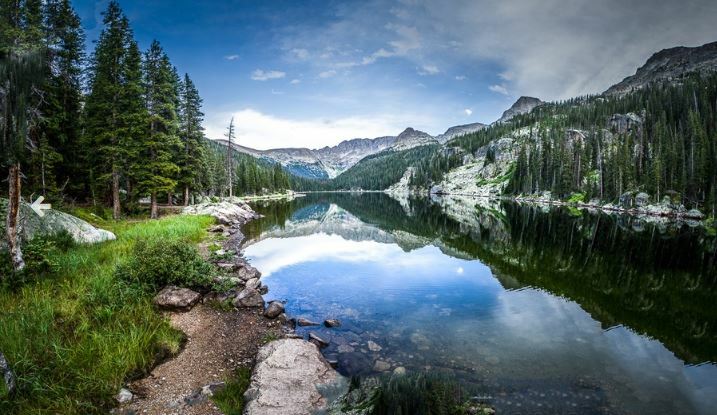 Rocky Mountain National Park is fondly regarded, both near and far, as one of the American West's must-see places in the United States. Some will believe that by simply driving the Trail Ridge Road, they've have seen the most that the park has to offer - but it simply isn't true! Taking in those sights is in fact fantastic, but it's merely a scratch on the surface of everything else that's hidden deeper in the parks. Imagine being surrounded by forest that is also surrounded by distant granite walls, standing at the edge of a jewel-like lake - alone. This is the sort of experience that Lake Verna offers. You can reach it by heading 7 miles up the East Inlet Trail Head from Adam Falls, headed to Lake Verna and Spirit Lake. It is a strenuous hike (and a MAJOR calf-burning workout) at 7 miles one-way and roughly 2,000 feet in elevation gain. But the sights you'll be greeted with make it well worth the effort! 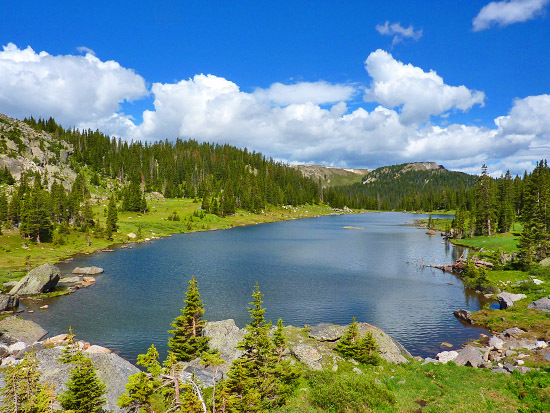 There are several back country campsites you can stay at, making it the perfect base camp for additional day hikes, fishing or spending the weekend. This particular spot is best enjoyed during the sunset hours, well after the swarms of day-trippers have come and gone. 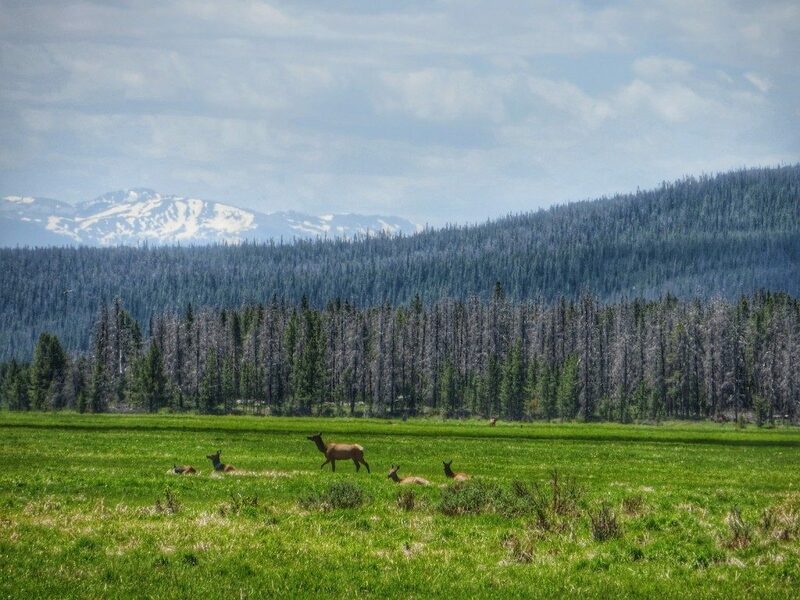 In the summer months during the twilight hours, the birds, moose and elk are most active, which can make for great viewing - if you're relatively still and quiet! It is an easy hike that's just short of a mile, with very minimal gain in elevation. 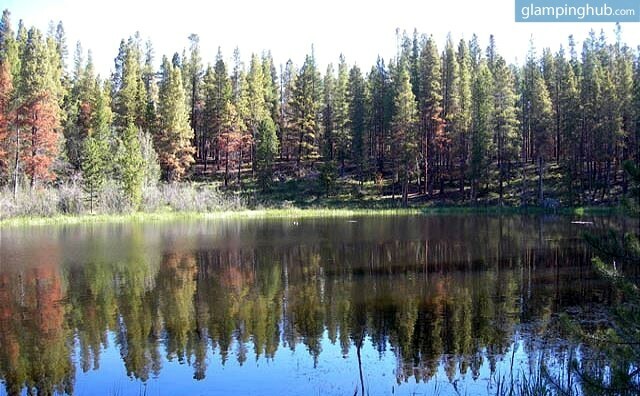 Timber Lake is mostly free of obstacles and provides beautiful scenery and the opportunity to spot wildlife. The trailhead is located further up Trail Ridge Road and is just short of the first hairpin curve. If visitors continue to climb steadily through the forest, the trail will lead you to an open alpine basin underneath Mount Ida. Many backcountry camping sites area available for campers, making it a great getaway spot to view the starry skies - and maybe even catch a meteor shower! You're likely to be greeted by wildflowers along Timber Lake's banks the next morning. 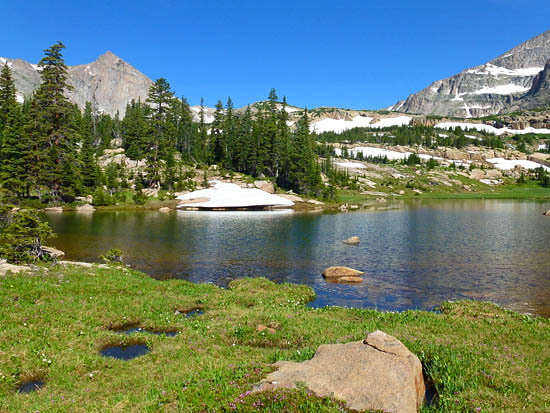 Lion Lake #1 and Lion Lake #2 are truly hidden gems. Following the path, you'll continue along the North St. Vrain Creek for much of the way as it winds through deep forest and past several waterfalls and cascades. It doesn't take long before you find yourself in open meadows with views of the jagged peaks belonging to Mount Alice. You can expect exceptional alpine landscapes if you journey to either of the Lion Lakes. If escaping the crowds is your main priority, Lake Nanita via the North Inlet Trail Head may be just the thing for you. This is not an easy hike - at 21.6 miles round trip, it does take a certain level of commitment and time to complete. The nearest campsite from the lake is almost 3 miles down the trail, and therefor it does not get many visitors. 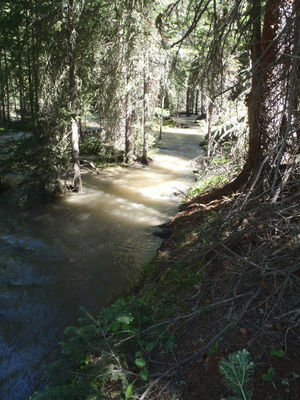 As a result, the area is pristine and kept in it's beautiful, natural condition. Both Ptarmigan Mountain and Andrews Peak are visible lake-side, painting a mountain scene that simply cannot be rivaled.